Spend the holidays with the Clown Prince of Crime! This Batman: The Animated Series Christmas Joker Action Figure features Batman's biggest foe wearing a Santa hat and holiday sweater! 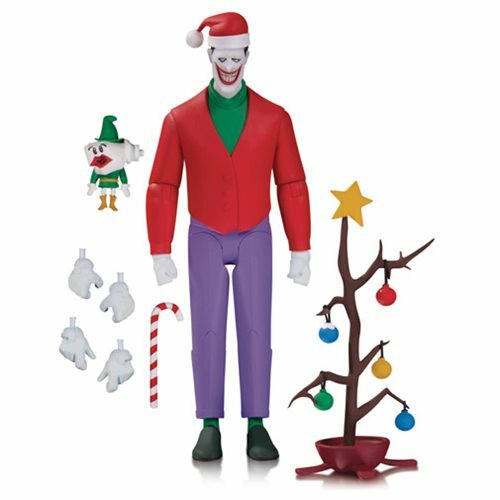 Standing about 6-inches tall, the joker comes with festive accessories and even a tree! Ages 14 and up.